Tokyo Game Show 2018 is set to take place over the coming weekend, and so Sony has gone ahead and revealed its lineup for the show. The Japanese giant won't be hosting a traditional press conference this year -- it opted for a prerecorded 'LineUp Tour' event last week instead -- but it's still making sure that a huge list of PlayStation 4 titles will put in an appearance. 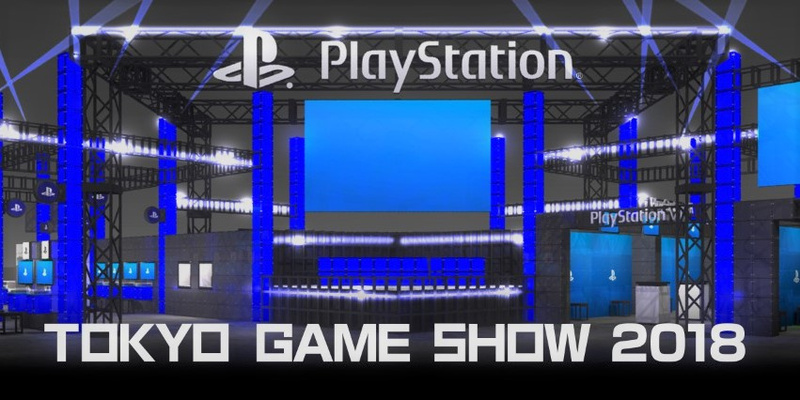 Some games will be playable on the show floor, while others will simply receive a new trailer or fresh information. Sony is also hosting a stage show that'll be broadcast live on YouTube. It'll feature a more in-depth look at some titles, including a big panel on Death Stranding. Phew, that's a lot of software. Naturally, we'll be posting all of the latest media here on Push Square, so do keep an eye out over the weekend. Some of the trailers are odd choices. Didn’t Street Fighter 30th release a while ago? I can’t wait to hear more information on Death Stranding. It has to be more than a paranormal acid trip package delivery game! I'm set for regular PS4 games for the rest of the year at least (Detroit, God of War Spider-Man and of course RDR2). So right now I'm more interested in seeing a few VR games. Will probably be picking up Tetris, Astro Bot and Beat Saber so I'm looking forward to seeing some more of them. Still no playable demo for Dreams. That's still coming this year, the beta, right? We have a date for TGS this year? That VR showcase is pretty impressive. Also no way Concrete Genie & Dreams are 2018 titles. What is going on with that game. Dreams. I'm all for making sure a games ready for launch but surely they'll wanna get it out sooner than later to get the full benefit of the PS4 installed base before migration to the next gen in a few years. Presuming PS5 is a few years off. The length of the development time must mean they're gonna need to sell millions to recoup costs. I worry for Media Molecule a little. Of course you have to wonder when the PS5 is coming too. Will DS be a cross-gen title? I kinda hope Dreams is on PS5 from day one, with full compatibility with the PS4 version, sharing, etc. If not, it's kinda sad to see that game appear at the end of the PS4 and die off as everyone moves over to PS5. Wow, that’s one lengthy lineup. I just can’t keep up with all the amazing games coming our way. I’m a longtime PlayStation gamer and feel constantly rewarded with so many quality titles and exclusives. @Octane It's playable at EGX in the UK, so I guess they just didn't decide to have booths for it in Japan. @Dange They're a much smaller team than Sony's other studios to be fair. And my understanding is that they've been profitable right the way through development thanks to sales of legacy projects. @get2sammyb Oh that's neat, I wasn't aware of that. That kinda gives me hope we'll see the beta later this year. @Octane Sony’s had a great year for releases already, but with so many game still to come 2019 could be the biggest year yet in terms of # of First Party releases. Hope Days Gone gets pushed forward, cause that release date is a death sentence. No EDF 4.1 TWS?! I hope that isn't delayed! If that's a new trailer for Ghost of Tsushima then congratulations Sony, you've got my attention. @Fight_Teza_Fight please enlighten me how is days gone release date a death sentence. because what anthem a third person destiny that alot of people are unsure about because it's a ea game or Metro a series that was never really that popular. days gone is fine where it's at.it's completely different from the other 3 games that release on the same day as it. @Jay767 I think they should move it forward if they can to be honest to be honest. @get2sammyb it's really not going make a big difference if they move it. because people either going buy the game or their not it's as simple as that. Ace Combat and EDF Iron Rain are the two I want to see. @Jay767 To an extent, but there are other factors to consider like mind share, time, etc. A good release date is definitely important. .. an impressive VR line-up.. Sony haven't dropped the ball / ignored PSVR (one of the worries of early adoption) - so that's really great to see... alongside Horizon 4 and a few choice exclusives - a great Autumn of gaming ahead! (just finishing Spidey / Detroit, then a good dose of Firewall, then Horizon 4, then Persona 5 Ultimate recently purchased for £20 in the sale) - and not forgetting Graveyard Keeper on XB1X too (and the other quality games on XB GamePass)... too many games to play! @get2sammyb February is full with big games i think doa 6 and another big game that I forgot the name of come out in February. more games will probably get announce to release in February before this year is over with.so sony moving days gone release date forward will be useless. The best thing for sony to do is to market the $hit out of days gone and for bend to make days gone the best game they can make it to be. @Jay767 Pretty much what Sammy said. Just look at Shadow of the Tomb Raider as the most recent example of a bad release date. Game would’ve done wayyy better, had it come out a month ago. Good thing for Days Gone is that they announced the release date really early (E3), so I think they could possibly get it out earlier (if development goes smoothly). @Fight_Teza_Fight Tomb Raider release around spider man a really big establish comic/movie ip. completely different from days gone situation plus tomb raider still sold ok better then the last one at least. I hope dreams will have 8-12 hour single player content, so most gamer can enjoy it if they don't want to create levels. @bpomber yeah it's looking bad for the last of us 2 it's probably going end up being a 2020 title. @bpomber I don't know what the game is, but I already hate The Last Remnant Remastered for making me think I was about to read The Last of Us 2 haha. @get2sammyb Great to hear they're still profiting from older titles. I love MM. That’s a lot of trailers! Are we in Alabama or something? @Dange There are no worries to have for Media Molecule. They are an Indie Studio, around 50 devolopers, their games cost no millions. And they definitely don‘t have to sell millions to have profitable products. I just saw Sammy said something similiar to you to clarify the situation of Media Molecule.